The pig is a symbol of prosperity, fertility and lots of good luck. Swine farmers were known to always have food. Keeping pigs was a sure way of insuring your family’s well-being. As the old Irish saying goes; “The pig is the gentleman who pays the rent”. In Germany they say “Glücksschwein”, which translates to lucky pig. Pig decorations and illustrations on good luck and best wishes cards are common in Germany. This is especially true around New Year. Candy in shapes of pigs symbolizes wishes of prosperity and luck. Marzipan pigs are sold in the thousands every December in Northern Europe. Pigs are associated with wealth. 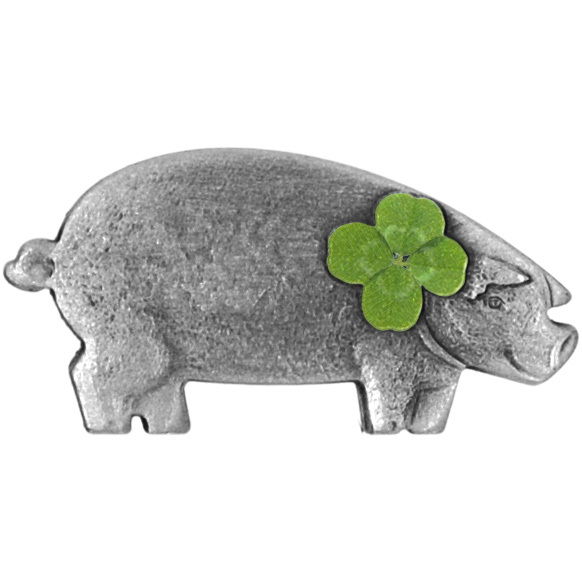 Many wear small pig charms to attract money and good luck. Pigs have a history of insuring a family’s finances. Pig charms remain popular to this day. 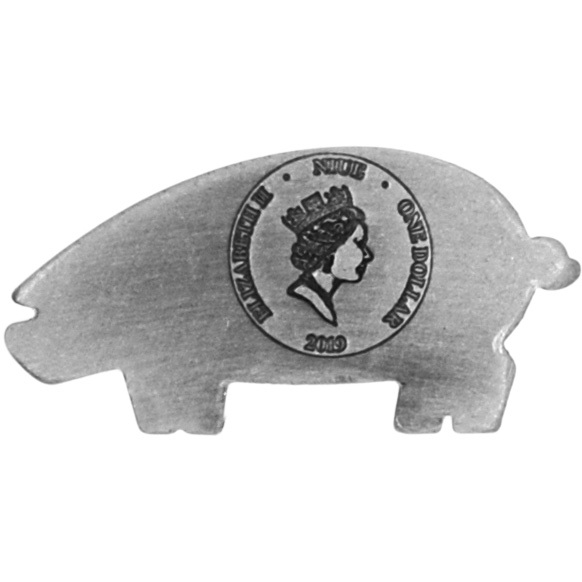 The piggybank is a worldwide symbol of money. Feeding our piggybank with coins is an undisputable sign that we are caring for our financial future. The shamrock or four leaf clover is as well one of the most common good luck symbols of the Western world. The four leaves represent hope, faith, love and luck. This is the most shared belief. Some say the four leaves represent fame, wealth, love and health. © 2019 by HelveticMint. All rights reserved.